This book is the first full-length critical study to explore the rapidly growing cadre of amateur-authored, independently-published, and niche-market picture books that have been released during the opening decades of the twenty-first century. Emerging from a powerful combination of the ease and affordability of desktop publishing software; the promotional, marketing, and distribution possibilities allowed by the Internet; and the tremendous national divisiveness over contentious socio-political issues, these texts embody a shift in how narratives for young people are being creatively conceived, materially constructed, and socially consumed in the United States. Abate explores how titles such as My Parents Open Carry (about gun laws), It’s Just a Plant (about marijuana policy), and My Beautiful Mommy (about the plastic surgery industry) occupy important battle stations in ongoing partisan conflicts, while they are simultaneously changing the landscape of American children’s literature. The book demonstrates how texts like Little Zizi and Me Tarzan, You Jane mark the advent of not simply a new commercial strategy in texts for young readers; they embody a paradigm shift in the way that narratives are being conceived, constructed, and consumed. Niche market picture books can be seen as a telling barometer about public perceptions concerning children and the social construction of childhood, as well as the function of narratives for young readers in the twenty-first century. 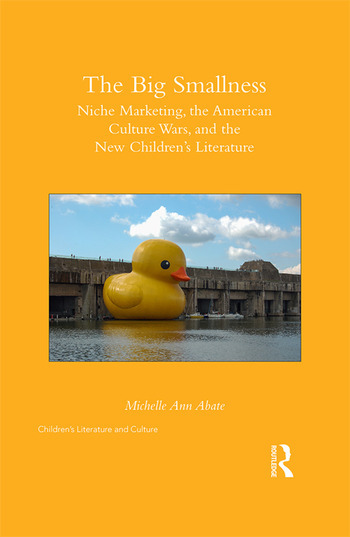 At the same time, these texts reveal compelling new insights about the complex interaction among American print culture, children’s reading practices, and consumer capitalism. Amateur-authored, self-published, and specialty-subject titles reveal the way in which children, childhood, and children’s literature are both highly political and heavily politicized in the United States. The book will be of interest to scholars and students in the fields of American Studies, children’s literature, childhood studies, popular culture, political science, microeconomics, psychology, advertising, book history, education, and gender studies. Michelle Ann Abate is Associate Professor of Literature for Children and Young Adults at The Ohio State University, USA.